Seo áiteanna speisialta i gContae Mhaigh Eo ina bhfuil gnáthóga áirithe. 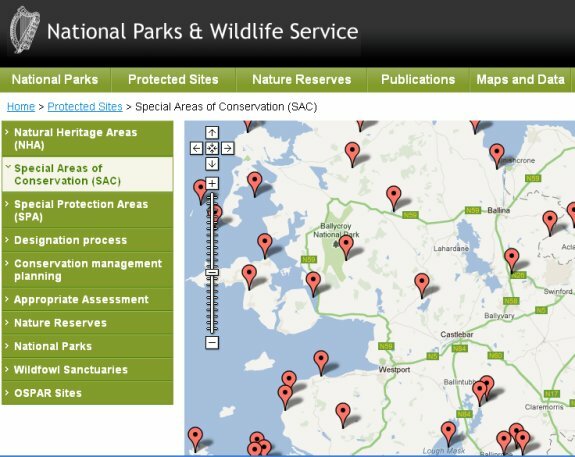 These are special areas of conservation in Co. Mayo. Rinne Rang 4 staidéar ar roinnt de na suíomhanna chun foghlaim faoi ghnáthóga difriúla. Fuair siad pictiúirí agus eolas faoi na háiteanna. Cuireadh an postaer sa halla. ..áiteanna áille atá lán de phlandaí, feithidí, éin, éisc agus ainmhithe speisialta agus annamh. Tá a fhios ag na páistí go gcaithfimid timpeallachtaí cosúil le seo a choimeád slán dúinn féin agus do ghlúiní na bpaistí atá ag teacht inár ndiaidh. This is a small sandy beach located on Achill Island which is within a special conservation area. The Doogort beach got the blue flag award. It gets a national spring clean every year. The Doogort beach is along the coastline of the map above. It is 3 kilometers east of the Doogort village. 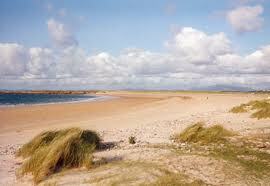 It is on the western seaboard, with low, flat, windswept sand plains known as machair. Machair is a vegetation-covered coastal plain. There are a lot of endangered species at Doogort Beach. There are a lot of holiday homes in Doogort. The beach is 2 miles from the village. There are waders, tern and gulls on the beach. 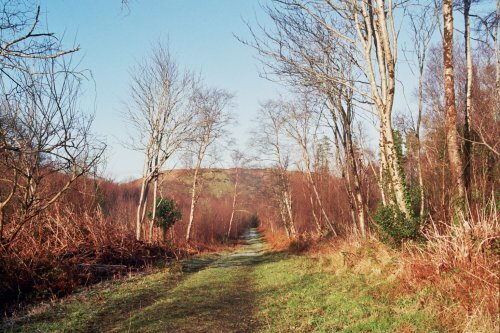 Ballycroy National Park was established in November 1998. It is Ireland's sixth national park and is located on the western seaboard in the northwest Mayo. It comprises of 11,000 hectares of Atlantic blanket bog and mountainous terrain covering a vast unhabitated and unspoiled wilderness dominated by the Nephin Beg mountain range. 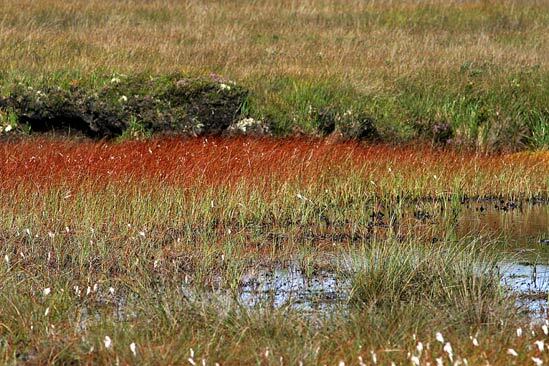 This is one of the last intact active blanket bog systems in Ireland. There is a diversity of habitats within the National Park . On the highest peak, slieve carr alpine health is found. Other habitats include upland grassland, wet and dry heath. It is a unique habitat with a diverse flora and fauna. Blanket bog, cliffs and river habitats are found in the park. The blanket bog is one of the largest expanses of peatland left in Europe. Clew Bay is a natural ocean bay in Mayo. 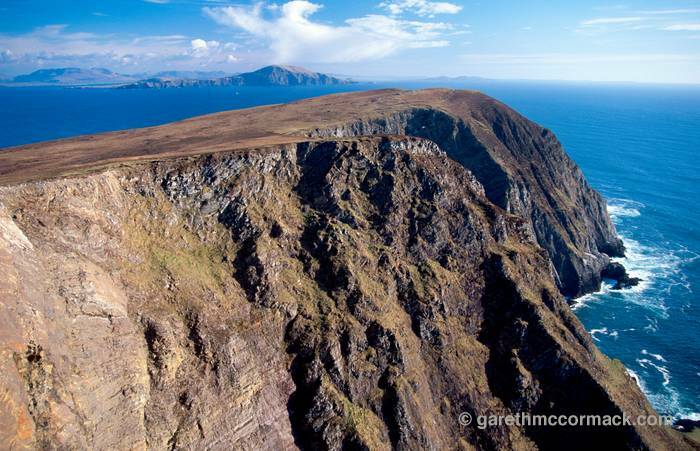 Clare Island lies off the west coast of Ireland at the entrance to Clew Bay. Clew Bay is an inlet of the Atlantic Ocean which is 15 miles long [25 km]. 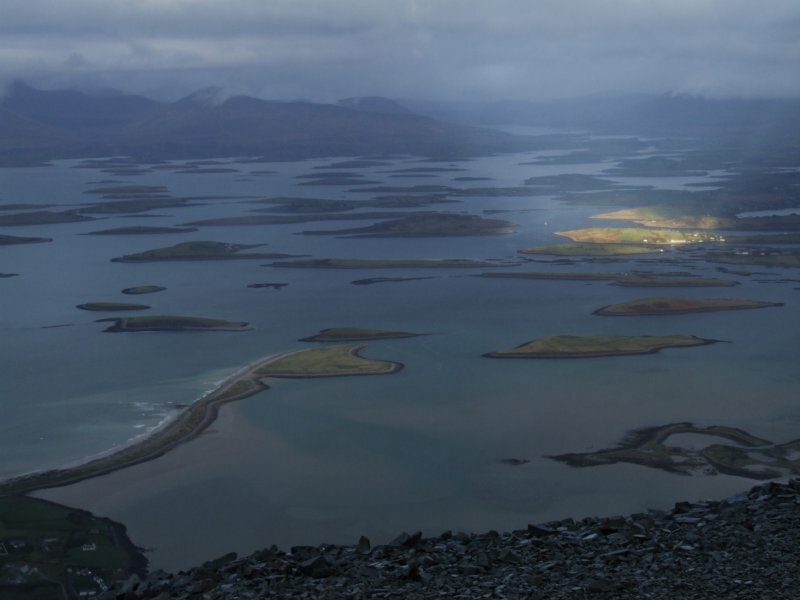 Clew Bay contains Ireland's best example of sunken drumlins. and by the mountains of north Mayo. 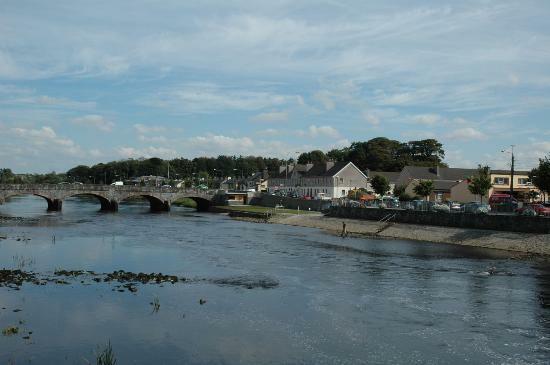 From the southwest part of the bay eastwards are Louisburgh, Lecanvey, Murrick and Westport. Clew Bay was the focus of the O'Malley family possessions. In recent years there has been controversy over fish farming in the bay. which was purchased by John Lennon in 1967. Lough Mask is a limestone lake. It is the upper of two lakes which empty into Lough Corrib. The trout in the lake are up to 15 lb in weight. 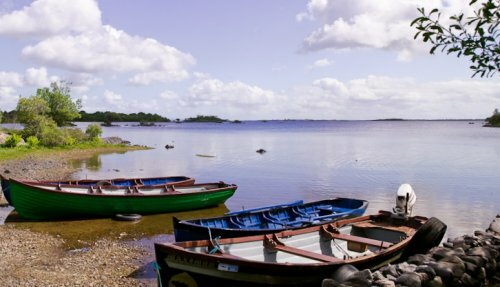 Lough Mask is renowned for its high quality water. Fly fishing extends for most of the season. Mayfly are best from mid-May to mid-June. Daddy long legs and grasshoppers are also found beside the lake. Dry fishing is successful from May to September. The lough was the scene of the Lough Mask murders in 1882, when two workers for Lord Ardilaun were killed. 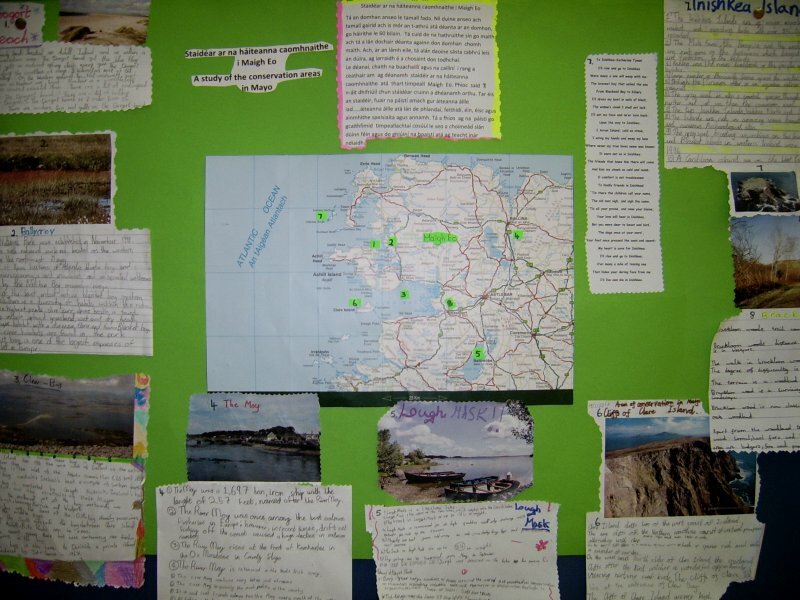 There are two Inishkea Islands, Inishkea North and South. 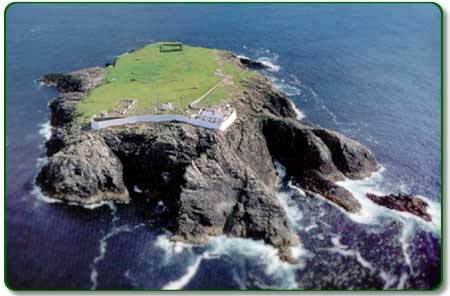 The Islands are rich in amazing scenic beauty, rare wild life and numerous Archaeological sites.The Inishkea Islands are of major importence to both resident and migrating birds with over 85 types having been recorded. The Mute Swan, the Peregrine and the endangered Corncrake are just some of the bird species which benefit from the peace and protection of the islands. Fishing was the main livelihood of the people of the islands of Inishkea. Large numbers of Barnacle Geese spend the winter in the Inishkea islands. The Eurasian otter is an aquatic rather than a truly marine mammal. The grey seal assembles for breeding on the Inishkea Island Group and at the Blasket Islands. They were studied in 1995 and 1996. The grey seal is also a coastal species, though it may forage further out at sea then the common seal. Brackloon woods trail is 0.4km. in distance. Brackloon Woods are near Westport. The walk in Brackloon woods would take 1hr 30 minutes. The degree of difficulty is easy. The terrain is a woodland track. Brackloon Wood is a surviving remnant of the original wooded landscape. Brackloon woods is now classified as a semi-natural Atlantic oak woodland. Apart from the woodland trees, other flora to be seen include wood sorrel, hard fern and bilberry. Fauna common to the area are badgers, foxes and pine martin.